From well known author Cynthia Woolf, comes a new installment of the Matchmaker & Co series. You haven't read the previous books yet? Don't worry! this amazing book, can also be read as a stand alone, in fact it's the perfect place for you to start! What are you waiting for? 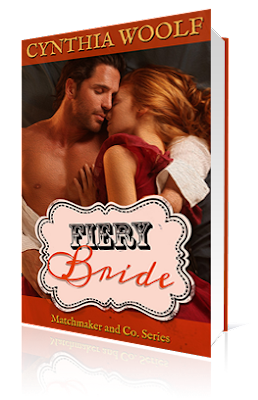 After a disastrous marriage, Matchmaker Maggie vowed never to marry again. She will never give another man the power of life and death over her body and soul. Unfortunately, that doesn't keep her lonely heart from fantasizing about her newest client, Caleb Black. She made the mistake of starting a flirtatious correspondence with the clever devil, believing they would never meet. But when his new bride abandons her mid-way to Colorado to elope with another man, Maggie is forced to face the devastatingly handsome Caleb and explain. Now she'll have to stay long enough to make things right and find him a new wife. 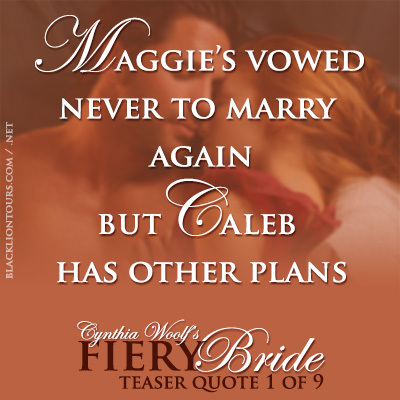 But Maggie better hang on to her vow with both hands, because Caleb has other plans for the fiery matchmaker...and a very seductive kiss. "What do you mean, you quit? Mr. Sinclair, you just can't quit." Margaret "Maggie" Selby put her pen down on the desk. She would not raise her voice. She would not lose control. "I'm sorry, Mrs. Selby, but I got no choice. There's an opening at the sanitarium in Albany and my Mary, she needs to go right now. The doctors there might be able to help her. We leave on the morning train." Maggie took a deep breath and nodded. She understood. She really did, but it didn't change the fact that she was now in a difficult situation. "Of course, you must go. I know how poor Mary's health is and any help that can be obtained for her, must be." "I wish I could give you some notice, but we just received the letter in yesterday's post." "It's fine, Mr. Sinclair. I'll manage." He handed her an envelope. "Here are the train tickets." "Yes, well, I've wanted to see the frontier I've been sending my these girls to. I'm simply going to see it sooner than I anticipated." "I'm truly sorry, Mrs. Selby." Maggie got up, came around the desk and held her hand out to him. "You just take care of Mary. That's your job now." He shook her hand, nodded. Mr. Sinclair put on his hat and wiped his brow with his kerchief before venturing back out into the already hot and sunny morning. She went to her desk, grabbed Caleb Black's file, put the closed sign on the door and then went upstairs to her apartment to pack. Her bride, Jenny Talbot would be by in an hour or so to pick up her tickets. Maggie would tell her then that she'd be accompanying her, not Mr. Sinclair. It was just as well. Jenny was nervous as a kitten and Maggie worried about the union, but both Mr. Black and Jenny had been adamant that it take place. If truth be told, Maggie herself was a better match for Mr. Black than Jenny. But she was here to find matches for others, not for herself. Jenny's reasoning she understood. Jenny was the oldest of the seven Talbot children. At twenty-two years old, felt she was a burden on her parents even though she worked and helped out with the bills. She hated her job and wanted to get married. Her chances were growing slim. Most men of marriageable age were either already married, old or widowers with hellions for children. Jenny was a tall, slim girl with pale blue eyes and dark blond hair. Her lips were full, her nose long and straight. Just a plain young woman from a struggling family who wanted a better life. One that the wild frontier might be able to offer. Mr. Black's reasoning was less clear. He was successful and wanted children. Maggie had presented him with several other possible candidates, some more attractive, some younger, some older, all of whom he'd rejected. The reasons he gave were weak. Brown hair. Too short. Too fat. Too thin. Too young. Too old. There seemed to be a reason for rejecting every one she sent him. Finally, he'd settled on Jenny with the proviso that Maggie herself accompanied the girl. She'd agreed, but stated only that Jenny would be accompanied. With her full intention having been to send Mr. Sinclair in her place. Maggie's time was much more well spent here in New York. 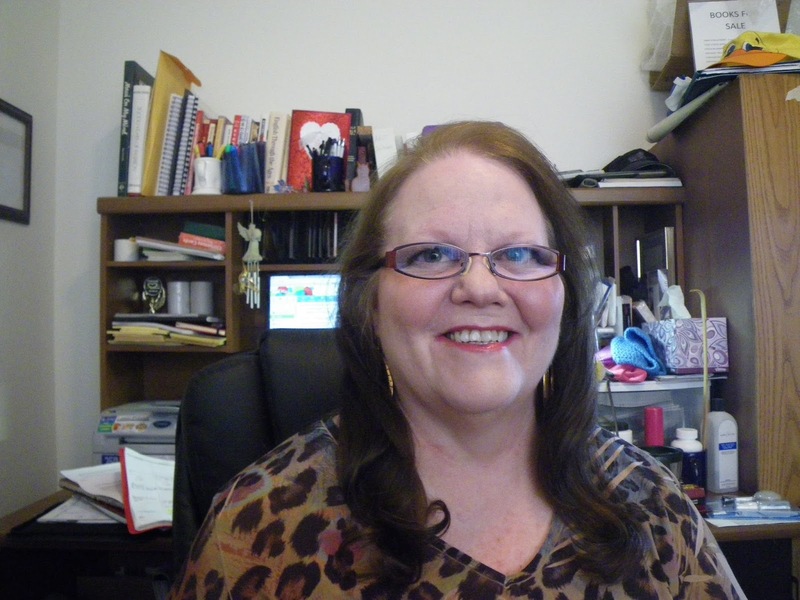 Finding clients, assigning candidates that is where her mind, body and commitment lay. Yes, running her business is where she belonged more than on a trip to the wild West. She didn't feel bad about her decision. Really she didn't, she told herself over and over. But she was lying. If she were honest, deep down she was afraid to meet Mr. Black. Afraid her image of him would be wrong, but even more afraid it would be right and he really was the man he depicted in his letters. She shouldn't have allowed it, the private correspondence, but it had been innocent enough. In the beginning. A simple flirtation with someone she'd never meet. But now, the thought of actually meeting him terrified and thrilled her at the same time. Now she had to go. Maggie released a rather breathless sigh. She blinked repeatedly against the harsh sunlight. So Mr. Black was getting what he'd asked for after all. Much to her dismay. Check the rest of the stops to find more teasers, guest posts, top ten lists, reviews and a lot more! The winner will be notified via email and has 48hs to respond, otherwise a new winner will be drawn. Prize: A Paperback copy of FIERY BRIDE by CYNTHIA WOOLF. Thank you so much for having me today. I look forward to fielding lots of comments. SORRY! I entered the international one first! And I'm not international...although I have been out of the country several times. I haven't read any of her books...YET! Will certainly do so. This is the kind of trope that I really enjoy. Hi Kathie, I so glad that you stopped by. I hope you enjoy the books when you try them. Hi! Thanks for sharing! Tha post looks great! Hi Janice. I'm glad you stopped by. 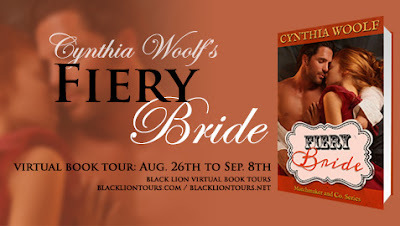 I did do a blog tour for my first bride book, Capital Bride. That was where we were first introduced to Maggie. Hope you like my books when you try them. This sounds like a really cute story, Cindy. Good luck with your blog tour. Thanks Linda. I'm glad you stopped by. I have not read yet would love to it looks very interesting. Of course, you can pick you're own characters as a favorite. I once read that all writers fall in love with their own hero. Best wishes with your book!